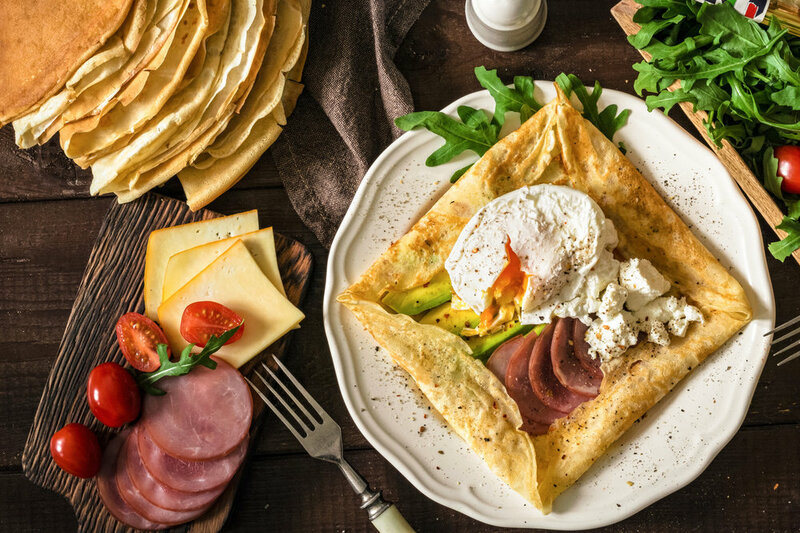 Breakfast: We love crepes but sometimes we crave breakfast basics like waffles and burrito's. Starting September 1, 2017 we overhauled our menu adding in a bunch of your favorites. You can view our full breakfast menu online here. We promise they taste as good as they look. Who can resist these scrumptious waffles topped with banana, seasonal berries, whipped cream and chocolate syrup. Kid friendly, adult friendly, even dog friendly minus the chocolate syrup. French toast so good you would never guess they are gluten-free. Served with real Vermont Maple Syrup!! 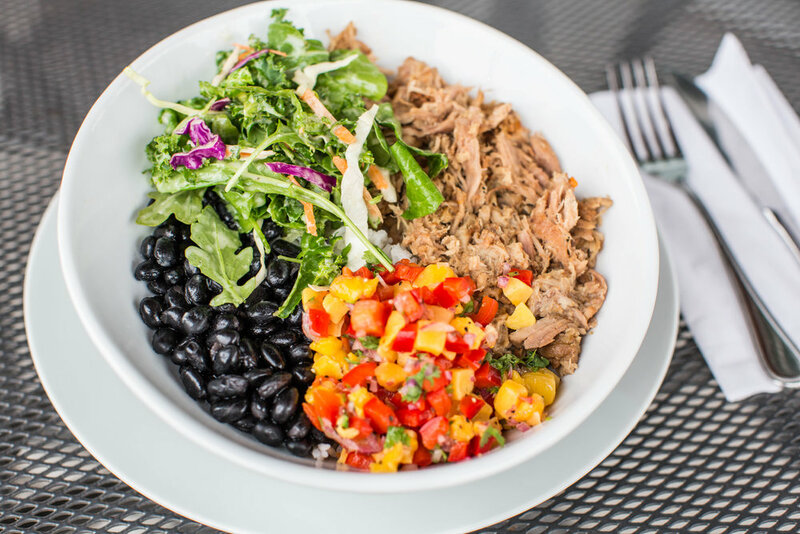 Lunch: All the rage seems to be about our bowls right now. 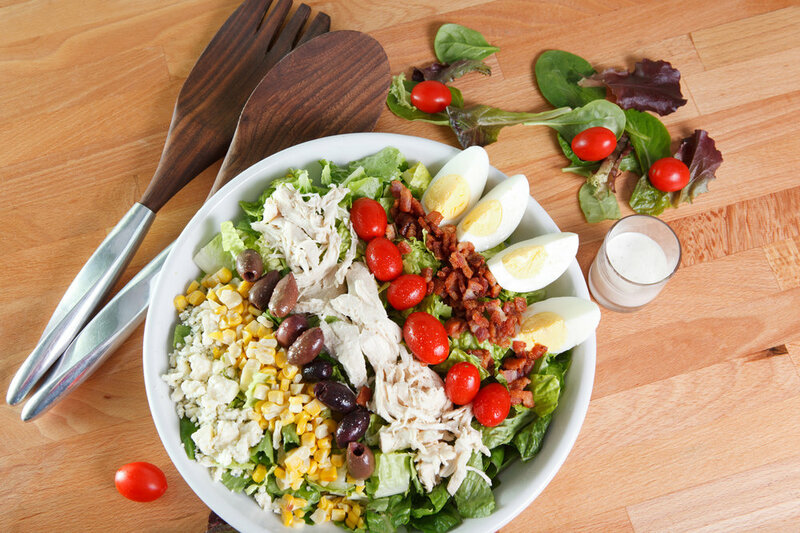 We are talking savory bowls packed with protein, kale salad, jasmine rice and lots of fiber. Perfect for eating in or take out which can be ordered within seconds on our app Market Street Kitchen To Go. To view our full lunch menu click here and check out a few of our faves below. 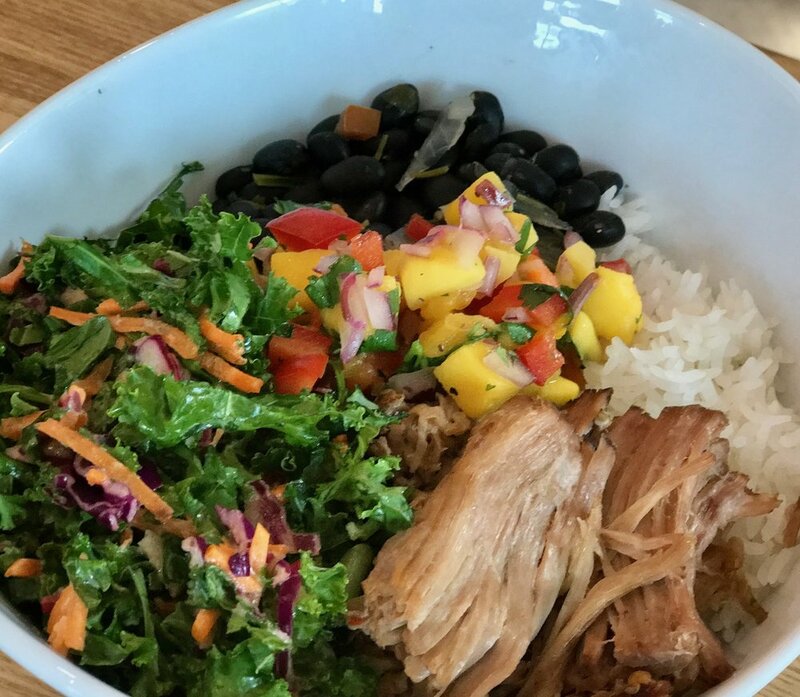 Slow roasted pork, black beans, mango salsa, kale salad, and jasmine rice never disappoints. Surprise, surprise...it's 100% VEGAN. 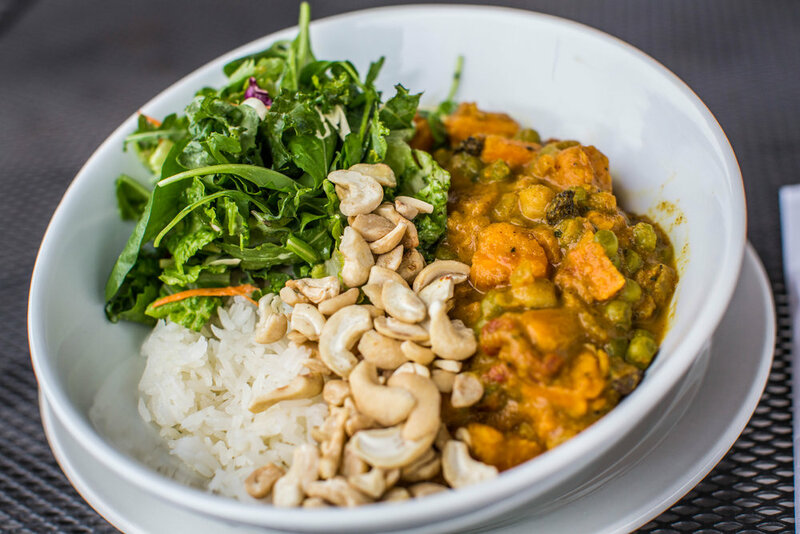 Sweet potato, garbanzo beans, green peas, kale salad, cashews, and jasmine rice. Chef Mawa's personal favorite. Dinner: Served Monday-Saturday we hope you love the new appetizers and entrees that have been added this season. Fan favorites include our new cheese & salami board, homemade jalapeno hummus and our fresh oysters. 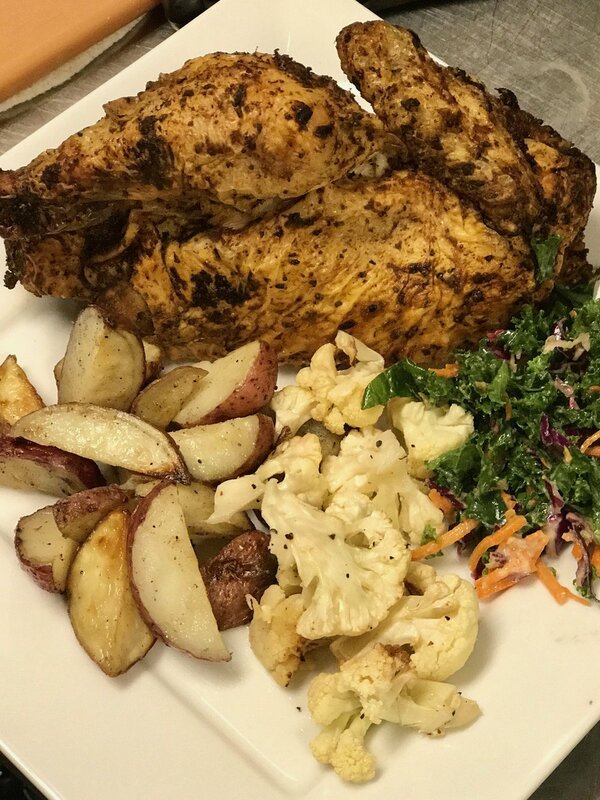 View our full menu . Perfect for all those snowy days we guarantee this will warm you up with a smile on your face. Originating in the burgandy region, beef Bourguignon is a staple in france. 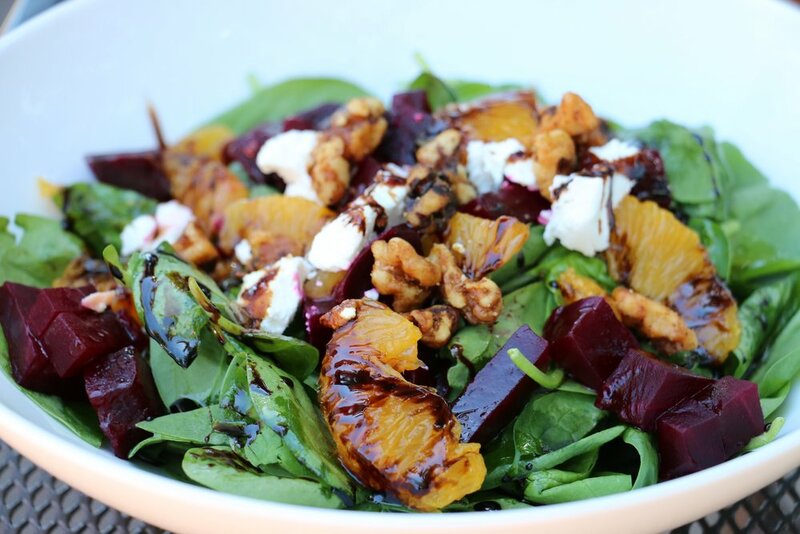 We love the rich flavors that penetrate the entire dish, veggies and all. We are excited to introduce our new Bike 2 Brunch partnership with Bike Butlers by Ski Butlers. For all you lucky people vacationing in Aspen or Basalt and don't have access to a bike, you do now. Bike Butlers provides door to door bike delivery service. First time riders mention this e-blast and Bike Butlers we'll throw in a 20% discount. Don't forget when you Bike 2 Brunch to either Mawa's Kitchen located in the AABC or Market Street Kitchen in Basalt, across from Whole Foods, we always provide a complimentary Hummus Platter. Happy Brunching! Brunch is worth biking to, check out some of our favorites below. Happy Biking and Brunching! In desperate need of Wine Time? Us too, and we are thrilled to announce that we have just added Social Hour to the roster. Six days a week (Monday - Saturday) from 3 pm - 7 pm you can enjoy French wine, cocktails, oysters, cheese plates, etc at unbelievable prices. Think premium french wine (white, red & rose) for only $5, $2 east coast oysters, $10 Avalanche cheese with salami and $10 crepes of the day. If wine isn't your thing, don't fret we have a large selection of craft beers and a fully stocked bar to mix up your favorite cocktail. Happy Hour can be enjoyed indoors or outside on our picturesque patio.